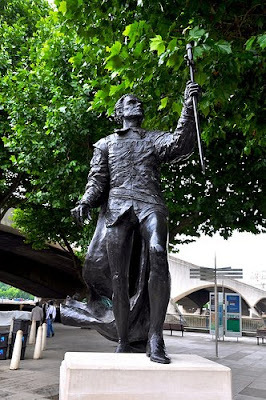 Though he sadly passed away back in 1989, it is still possible for fans to see Laurence Olivier on the South Bank. Unveiled in September 2007 to mark the centenary of his birth, a statue of Olivier stands proudly in the square at the front of the National Theatre. The statue was erected following a public appeal which attracted donations from more than two hundred people, many of whom worked in the theatre and film industries.